Medizinischer Gebrauch der Olive Blätter Termine zurück zum alten Ägypten und von Hippocrates und nun auch in modernen medizinischen Texten verwiesen. Olivenbaumblätter dient auf der ganzen Welt als ein Medizinaltonikum und ein starkes Antioxidans. Barlean's Olivenblättern sind frisch gepflückt und sofort frisch gedrückt, um das gesamte Spektrum, Ernährungs-Potenz zu erfassen. Medicinal use of olive leaves dates back to ancient Egypt and is referenced by Hippocrates and now in modern medical texts. 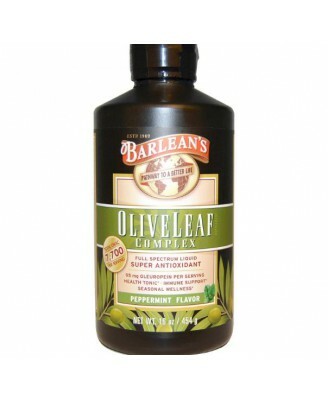 Olive leaf is used around the world as a health tonic and a powerful antioxidant. 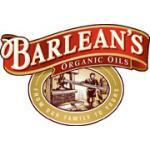 Barlean's olive leaves are fresh-picked and immediately fresh pressed to capture full-spectrum, nutritional potency. Adult Dose: One Tablespoon (15 ml) per day. May be taken straight, or mixed with water or juice. 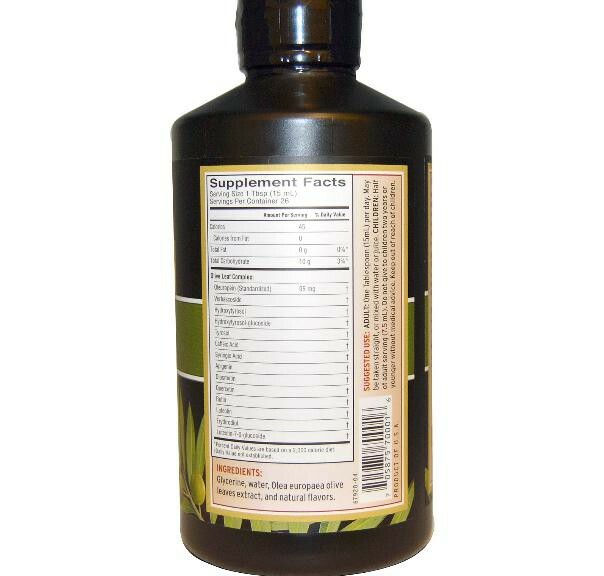 Child's Dosage: Half of adult dosage (7.5 ml). Do not give to children two years or younger without medical advice. 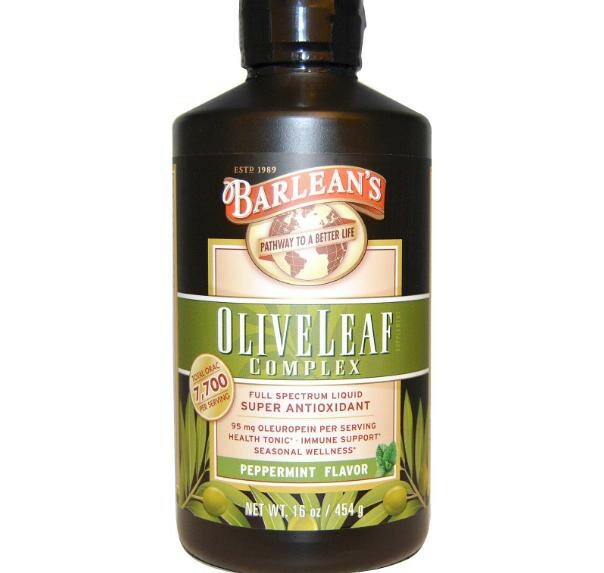 Fresh pressed olea europaea varietal olive leaves, glycerin, water, natural flavors. Consult your healthcare provider prior to use if you are pregnant, nursing or have a history of low blood pressure.